When you purchased your new flooring, did you consider the maintenance of it? It can be hit or miss to consider these things. Since you’ve taken the time to figure out what type of a beautiful floor you want in your home to pull it together, you now need to figure out how to take care of the new flooring in your residence. You might just think that since your flooring is new that nothing can happen to it because it hasn’t had the strain put on it yet. However, that’s not the case. From the time you get your new floor, you need to follow certain precautions to make sure it stays in shape for a long time. 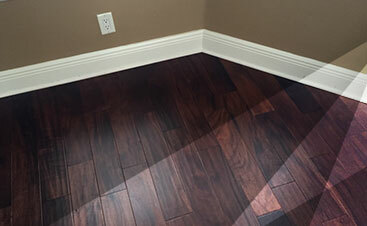 At 2 Day Flooring, we provide Tampa’s top quality services for installing hardwood, laminate, luxury vinyl, and tile flooring. From offering the supremacy of flooring brands to making our flooring installation easier for you, 2 Day Flooring will go above and beyond to make sure you’re happy with the flooring in your home. 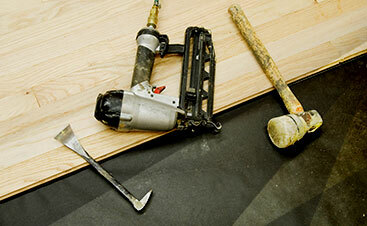 Whether or not you just got new flooring, it’s important to take care of it. No one likes throwing their money away, and that’s exactly what you’re doing when you don’t take the time to keep your floor in shape. These four suggestions will lead you in the right direction to determine how to keep your floor looking brand new. From new or old flooring, we’ll ensure you are well aware of what happens when you don’t take the time to learn these tips to keep your floor in shape. The first tip you should follow to have a floor that’s beautiful and in superior shape is to ensure everyone takes their shoes off when they walk across the new flooring. The quickest way to send your flooring into disarray is by not instructing others to take their shoes off when they walk across your hardwood or laminate flooring. If it’s too tiring to tell every single person who comes to your home to take their shoes off, then have a doormat by every door. By encouraging others to take their shoes off before walking across your floor, you’ll be able to cut down on the scoffs, traffic, and dirt that might find its way between and on your floorboards. If you put a doormat by the doors and have everyone wipe their feet, then you’ll be able to cut down on the amount of dirt and other debris coming into your home. The second tip you should follow to keep your floors in top shape is to keep moisture away from the flooring. No matter what type of flooring you may have, it’s best to keep it dry and the moisture limited. When it comes to your hardwood flooring, moisture will create harm to it. Falling apart, rotting, weakening, and mildew, are just a few things that can happen to your hardwood flooring if it gets wet. By keeping moisture away from hardwood flooring, you won’t have to pay a large amount of money to have the hardwood floor fixed. Additionally, when it comes to laminate flooring, tiles, and luxury vinyl, it’s important to keep water away from those as well. Water will damage the flooring regardless of the time and in a worse case scenario, you may experience black mold spreading through your home. To ensure your home stays mold-free, keep moisture from the flooring. Cleaning methods make a huge impact on the shape of the flooring. If you don’t clean the flooring in your home properly, then you could severely damage it. For example, if you clean the hardwood floor with moisture, it can grow mildew and the shape of the floor could be harmed. If you continue to read our blog, you’ll learn more about proper cleaning methods for any type of flooring. For now, when it comes to keeping your floors in great shape, use a special attachment for vacuums, and use hardwood floor cleaner for hardwood floors. Additionally, always clean in both directions so your flooring stays lustrous and protected from damage. The last tip is for you to know exactly what to avoid when it comes to keeping your floors in great shape. When you know what to avoid, you can take proper care of your flooring. For example, know to cut your pet’s nails so they don’t scratch the floor. You should know that walking in heels will harm hardwood flooring. Additionally, by using a steam cleaner on laminate flooring you’ll cause it to warp and become disfigured. 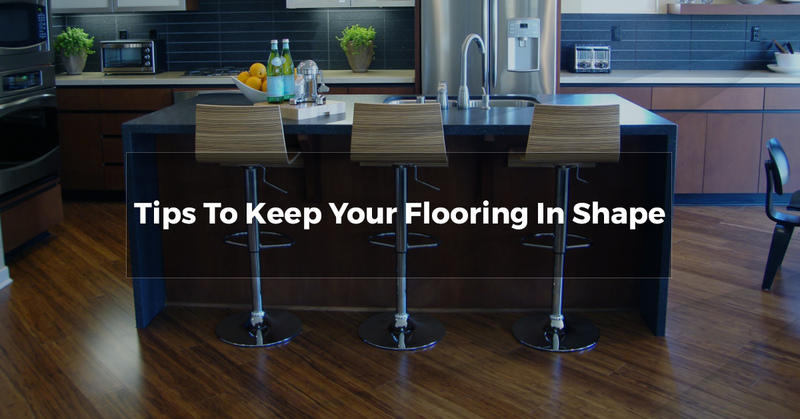 By knowing what to avoid for your floors, you’ll keep them in great shape. If you aren’t sure exactly what to avoid, then continue reading our blogs or contact us with any maintenance questions you may have.